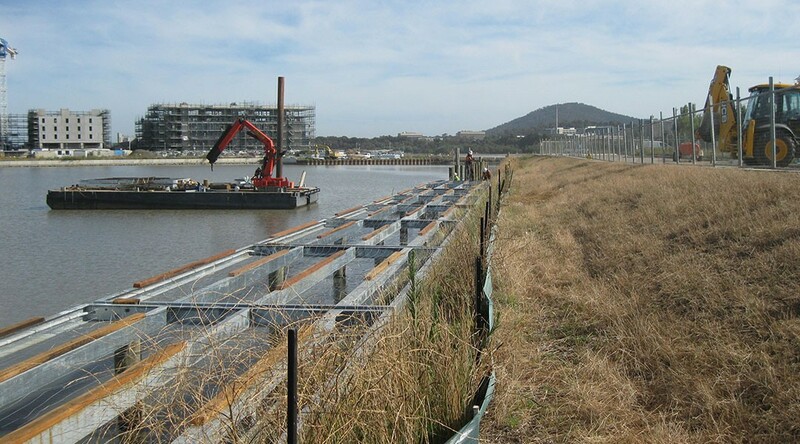 Kingston Foreshore Boardwalk construction was the new build of a boardwalk facility in Lake Burley Griffiths in Canberra. Clement Marine Constructions acted as the major sub-contractor for Manteena Pty Ltd, who was the principal contractor engaged by the Land Development Authority. 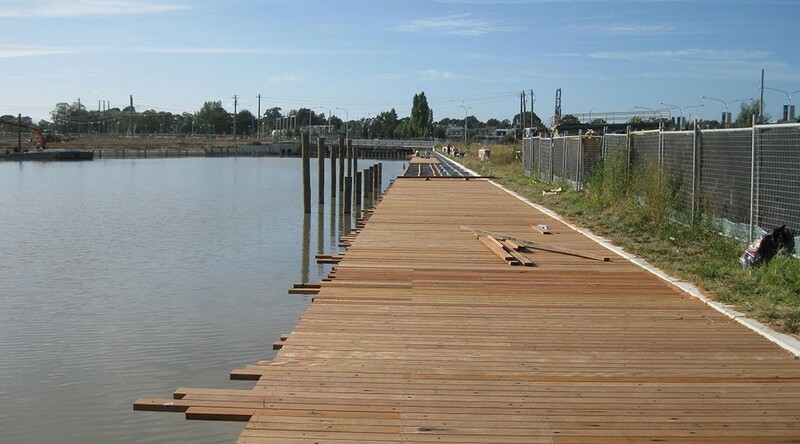 CMC’s scope covered the piling works, supply and installation of 105 tonne of structural steel frames and the supply of 25,000 lineal metres of seasoned (recycled) hardwood decking. 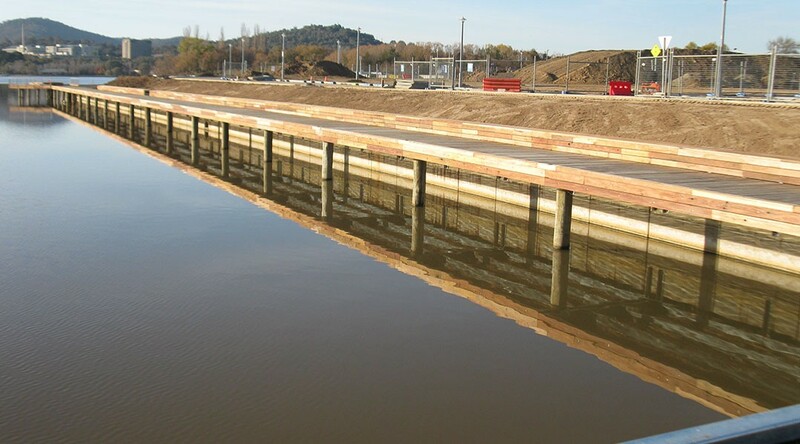 Due to the face that the project was constructed in a lake, CMC utilised one of its demountable barges to establish at the site with relative ease. 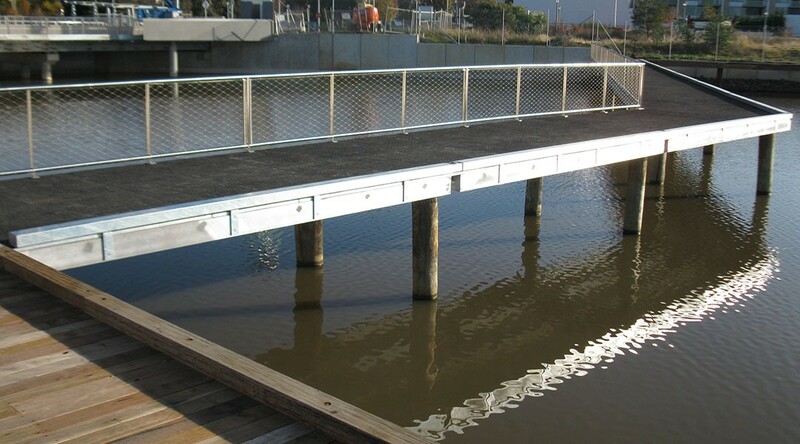 Limited access to the works areas meant the project was logistically challenging and all materials had to be delivered from the yard to the point of installation by water.